شركة الهنا للتجارة | Al Hana Trading Co.
(A) For printed T-shirt bags: 300 pcs / min. / line x 2 lines = 600 pcs / min. (B) For non-printed T-shirt bags: 300 pcs / min. 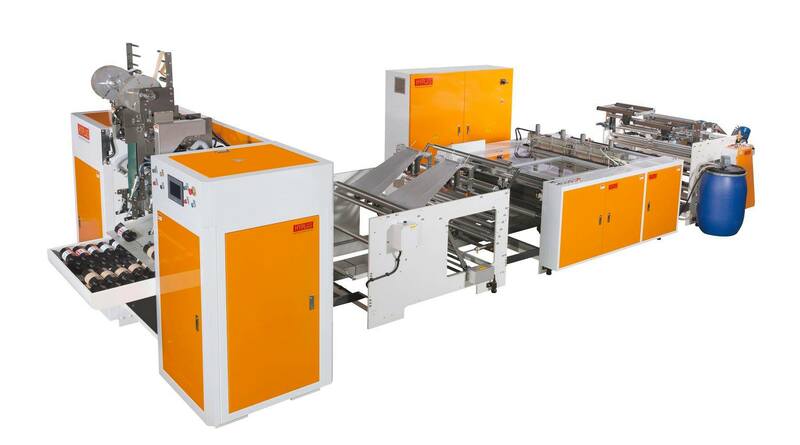 / line x 4 lines = 1200 pcs / min. 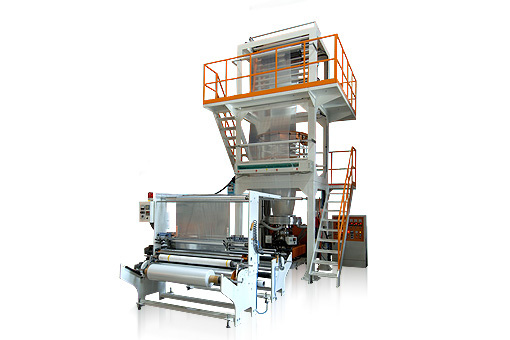 The machine is specially designed to be with less mechanical parts to achieve easy operation and saving maintenance cost. We will be displaying our machines and be happy to show you how it operates. This way, you can see by yourself that our machines are designed and built to help you get the job done quickly and accurately, time after time. And in order to exceed the expectation of our customers, we place the same high standards of quality on our services. 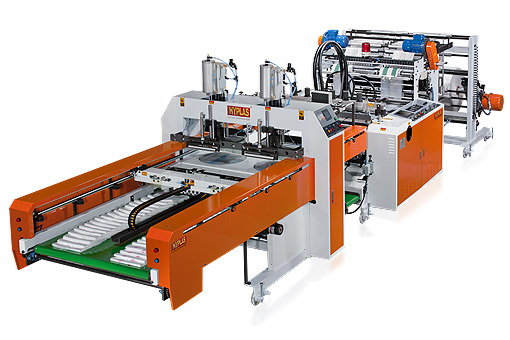 Using all servo motors and servo drivers control for all the production procedures. Using special material cutting knife, so can last for very much longer than the other normal heat cutting knife. 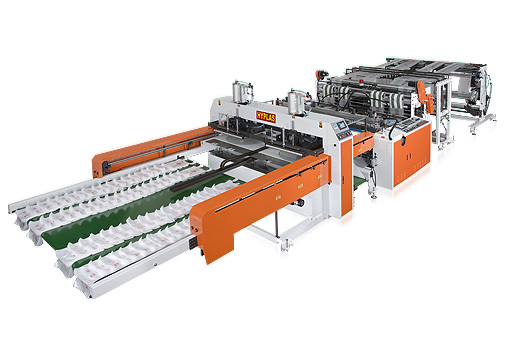 The machine is with very advanced synchronous control system, so can achieve very smooth high speed operation. Hyplas places much emphasis and has invested heavily in R & D, in technical cooperation with expertise from Japan . 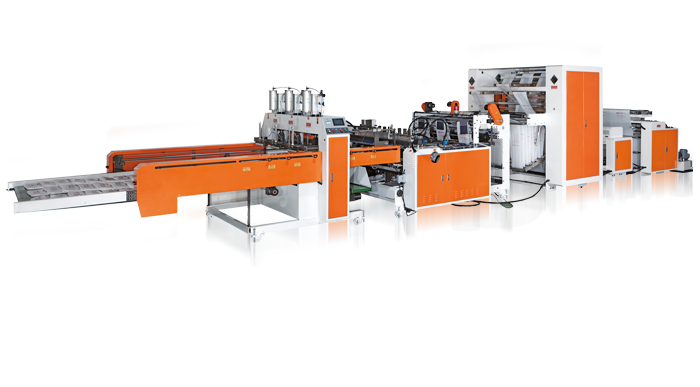 All machines are manufactured in strict accordance with the company’s stipulated standards, and no deviation from those standards is permitted. 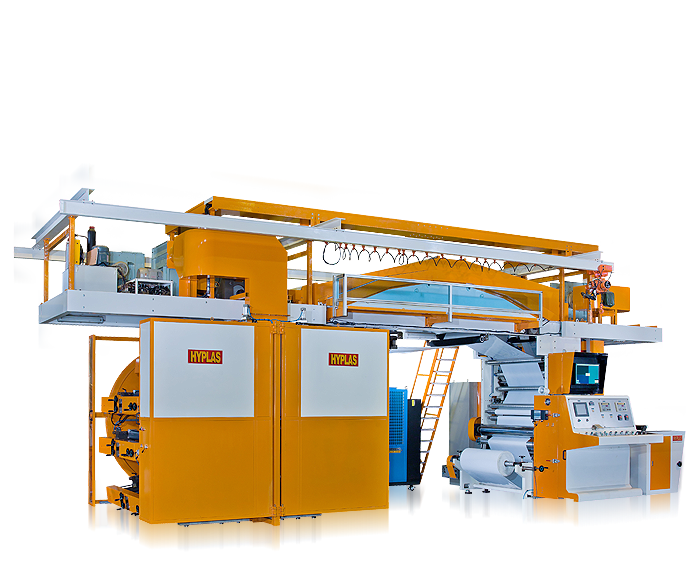 Hyplas uses only proven material and components imported from major companies in the USA , Germany , France , Holland and Japan in the manufacture of machines. 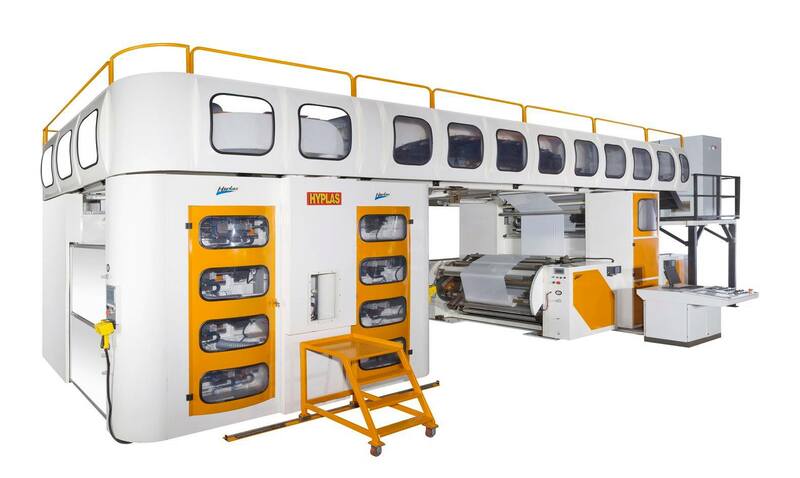 Each machine is thoroughly checked at each stage of manufacture to ensure “Quality without compromise”.